This entry was posted in Sweden and tagged Sweden Immigration on September 21, 2013 by Blog Author. 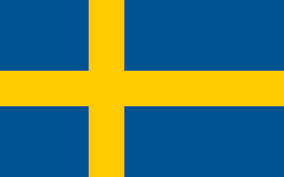 Is Sweden simply a land full of platinum-haired residents, gigantic Ikea stores and cheesy disco-pop? Certainly not! Contrary to associated stereotypes that are sometimes hard to shake, there is much more to Sweden than meets the eye, especially if you’re planning on moving there in the near future. Sweden is a naturally beautiful part of Western Europe and is the largest of the Scandinavian countries, in land size and in population, with around 9.6 million inhabitants. It is also a country whose inhabitants believe strongly in taking care of themselves and each other, in terms of good health and equality. So let’s take a look at the top 5 reasons why moving to Sweden could change your life. Sweden is one of the cleanest, most environmentally-friendly countries in the world. People believe in clean living here, which helps to reduce any poor effects on the environment. Simple actions like recycling, picking up after your dog and quitting smoking are all good habits to get into as the Swedes are proud of their greener way of living, and adopting the Swedish way of life is important if you want to truly integrate within the country. Also, in terms of real estate, Sweden sees regular growth and often markets properties which are affordable yet luxurious. If considering buying a home here, there is definitely value in the market. Education here is very important and Sweden proudly promotes equality in the sense that there are currently at least 30,000 foreign students studying higher education courses in top Swedish universities. If you are considering applying to study here, it helps to understand all about emigration and that applying for a residence permit or visa is something you will need prior to studying in Sweden. The social aspects are another reason why this country is so great. Making new friends and embarking on exciting activities is second nature here, and having a vibrant social life is strongly encouraged. Good health is paramount here, which explains a lot about the status of the Swedish healthcare system. The healthcare is affordable, and therefore ideal for large families who are considering countries that can cater to their medical needs. All dental care is free for children under the age of 18 in Sweden, and those who take regularly prescribed medication are handed a boon in that once a certain amount has been charged for their medication, the rest of the year’s prescription will be provided free of charge. Known for its beautiful green forests and untouched land, it’s easy to fall in love with living in Sweden. In fact 55% of the country is made up entirely of forests and woodlands. So if you’re looking for remote and secluded places to live, you will not be disappointed by the outstanding views all over this country. If there’s one thing about Sweden that you won’t find difficult to ignore, it’s how everybody dresses with a strong sense of style. Although the general fashion is more refined and focuses on practicality more than anything else, this doesn’t mean that the clothes lack creativity. Annual events like Stockholm Fashion Week attract a huge following of street style bloggers, journalists and trade professionals alike meaning that the Swedish fashion industry is popular and respected. If you are a fan of modern style and a ‘less is more’ mindset, you might find Sweden is just the place for you. ← Why Multiculturalism Works in Canada?